Introducing Greg’s 2016 photo wall calendars! Here come my 2016 “Views from the Flying Carpet” aerial photo wall calendars, filled with my favorite aviator’s-eye views from around the country. This “Greatest Hits” version comes in two sizes, featuring my most popular aerial photographs from recent exhibits and among clients. Both calendar sizes feature exceptional image quality suitable for framing! Note that because these photographs represent my most popular images to date, all have appeared in various calendars from previous years. Once again, I’m also offering my terrestrial, 2016 “Views from Japan” photographic wall calendars incorporating photos taken on my 2012 journey. Although a departure from my aerial persona, Jean and I have been so taken with Japan’s beauty and character during our travels that I can’t resist sharing special images from there. This is one country you must make plans to visit! And once seeing the included photographs, I suspect you’ll agree. Included are amazing views of Kyoto’s and Nara’s exquisite temples, Matsumoto Castle, Osaka’s Dotombori Entertainment District, a Shinto wedding at Miyajima Island, Tokyo’s Ginza District, and Ogimachi Historic Town. Check out my 2016 “Well, I’ll Be!” Photo Wall Calendar, featuring some of my wackier photographs. I created this calendar primarily to hang over my own desk, but can pretty much guarantee you a monthly smile when you change pages! Standard 11″x17″ for $19.95** (8.5″x11″ images). Premium oversize 13.5″x19″ for $29.95** (9.5″x13.5″ monthly images). Photos are similar in both formats except for cover image and size. Click on each calendar image to preview monthly images and order, or see them all at Greg’s calendar store. 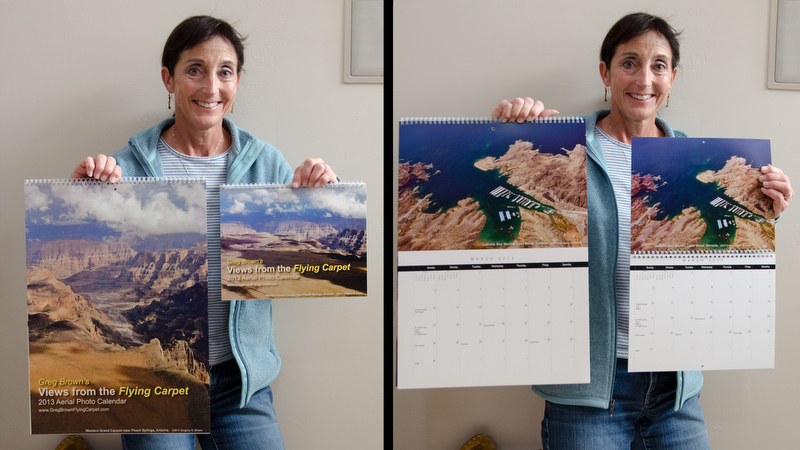 All calendars can be shipped directly to you, or to others as gifts. What a great way for you and your lucky gift recipients to celebrate each month of the new year! * Shipping and sales tax (if applicable) are additional. ** Save 30% on Greg’s photo calendars through November 26 with code TURKEY30. After that, CHECK HERE FOR ANY APPLICABLE DISCOUNT CODES!